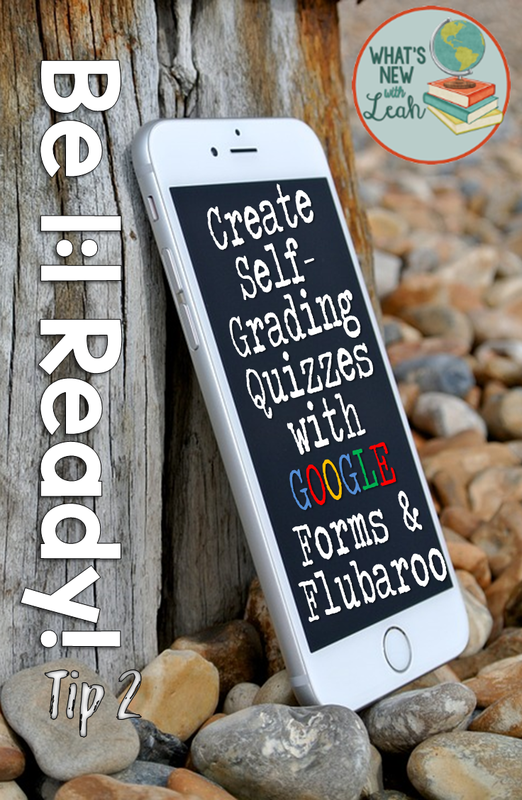 This summer, I'm getting 1:1 ready with simple tips, tricks, and discoveries for the blended classroom. We return in the fall (well, summer, really--90+ degree August hardly qualifies as fall) to a shiny Chromebook in each student's hand and a skeptical furrow on each teacher's brow. My goal is to make the impending transition as painless as possible by being 1:1 ready. 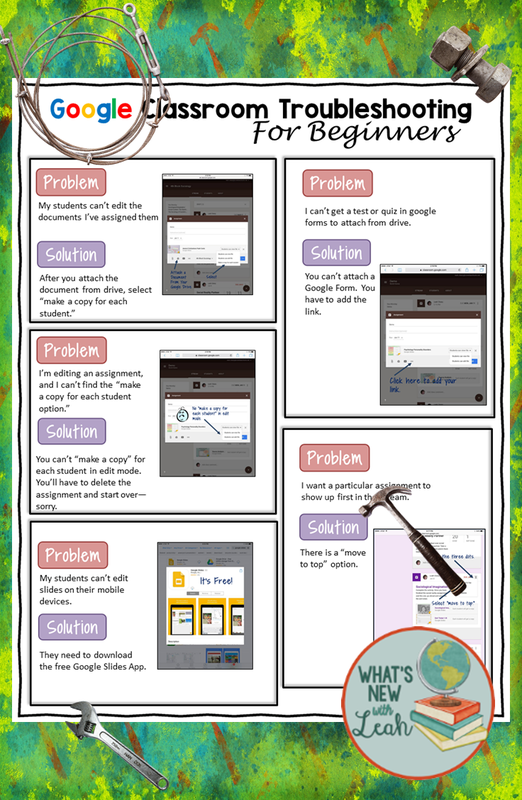 So far, I've been looking at the possibilities of using Google Forms to enrich student assessment and to make our lives as teachers simpler. Technology enables teachers to stand the traditional classroom on its head. 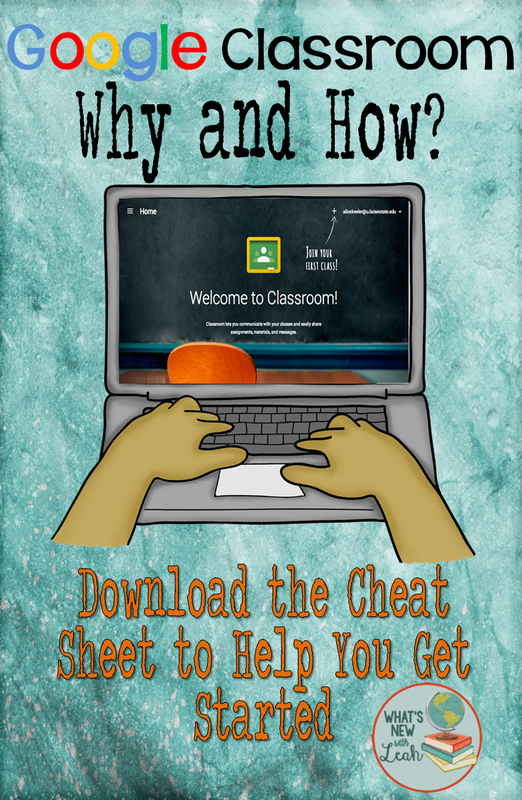 There is no longer a need to spend an entire class delivering content to students. Instead, we can flip our classrooms, or deliver content to students outside of class. That frees up class time for projects, remediation, and extension. If your students don't have access to technology at home, or if flipping just doesn't work for you, then try using Screencastify to create content stations for a station rotation model. Have one station for content delivery, one station for extension, and one station for remediation/enrichment. Honestly, this is probably the way I'll use Screencastify most of the time. I prefer it to any of the other screencast tools I've tried because it's incredibly simple, and you don't need to download any other programs to use it. 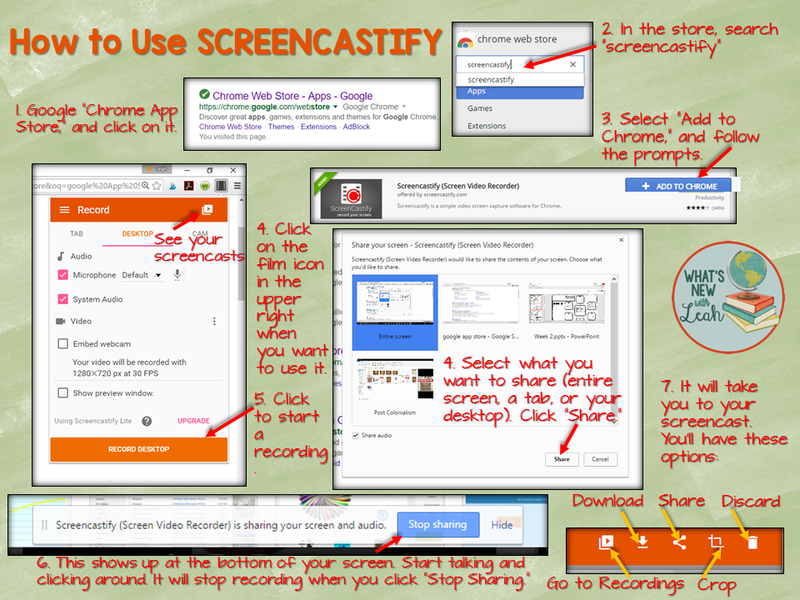 Below I made an infographic and, of course, a screen cast with Screencastify demonstrating how to get started. Have you used Screencastify, or do you think you will? Leave a comment below, and let me know! We are officially on summer break at our house (except for my son's summer math classes, but we won't mention those). There are two things this family of teachers is focusing on this summer. 1. Continuing our summer hometown tourist tradition. 2. Getting 1:1 ready for the new school year. I will be posting 2016's first hometown tourist edition next week, but this week I want to focus on my first 1:1 Ready post (and I will be posting them all summer). One of the greatest things ever about Google Drive is Google Forms. I use them all the time, and I have many colleagues who use them. Last week, I presented at the Tech Summit for my county (my topic was Interactive Notebooks in the Digital Classroom--you can check out the presentation HERE). Before I presented, I sent out one of my quizzes in Forms to my department so that their answers could provide a sample demonstration for me. They are some of the most wonderful people I've ever worked with, and they were more than happy to help. The responses I got back made me realize that most of them don't know how to make a Google Forms quiz multi-media. "How did you insert that image?" "How did you get that film in there?" I made a quick tutorial for them that I'm going to share here. Inserting pictures and films is an immensely useful feature in forms, so this week's 1:1 Ready tip is all about how to make your Forms Multi-Media. It's surprisingly easy to do. Go into your Google Drive, and open a new form. Follow the example below to add images and films. It's as simple as that--thank you, Google! ;) Here's a video tutorial, in case you want to dig deeper. Be sure to check back next week for our first Summer Hometown Tourist Adventure of 2016 and more 1:1 Ready Tips!